A Slice of Koregaon Park. Now in Baner! Baner, a short drive from Hinjewadi, is home to Pune's new elite! Well developed, well maintained, secure and beautiful, this is now a prime locality in the city. But, people told us, it's not Koregaon Park! So, for all the people who need to live in Baner, but would love to live in Koregaon Park, we've created Willows. 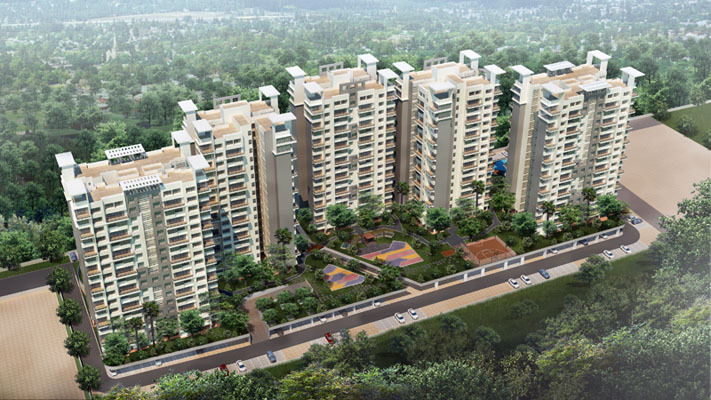 It combines the charm of living in Koregaon Park with the convenience of living in Baner. So that you can now be a short drive away from work, your kids can hop to school, and yet, you can still live in the style, elegance and sophistication that your heart longs for! Only at Willows... Because it's a slice of Koregaon Park. And it is now in Baner! Higher level of comfort is achieved through calculated efforts as the buildings are designed and oriented according to the sun's movement, wind flow etc. Earthquake resistant RCC structure confirming to IS 456:2000. Walls - internal 150 mm and external 200 mm in concrete blocks / bricks. 3' x 3' vitrified flooring for living, dining and entrance lobby and 2' x 2' vitrified flooring for rest of the flat. 1' x 1' anti skid ceramic flooring for all toilets. Modular kitchen up to 8' long below the counter and designer glazed ceramic tile dado. Skin molded flush door 50 mm thick on plywood door frame, melamine finish. Flush doors with branded locks. Aluminum powder coated - three track windows. Granite sills for all windows. Designer glazed dado tiles on the wall up to 7 feet. Branded white colour EWC, U/C washbasin all toilets. Good quality electrical switches of standard make. Intercom point in kitchen, TV & telephone point in living room and master bedroom. AC point in all bedrooms. 1 coat of cement paint with 2 coats of ACE. Oil bound distemper for internal walls.